Archaic game and home computer hardware is recast into the unlikely role of musical instrument and motion graphics workstation in the BLIP FESTIVAL 2008, a four-day event showcasing nearly 40 musicians and visual artists occupying the international low-res cutting edge. The Blip Festival takes place DECEMBER 4–7, 2008 at The Bell House, and is presented by Manhattan art organization THE TANK and NYC artist collective 8BITPEOPLES. Highlighting the chipmusic phenomenon and its related disciplines, the festival aims to showcase emerging creative niches involving the use of legacy video game & home computer hardware as modern artistic instrumentation. 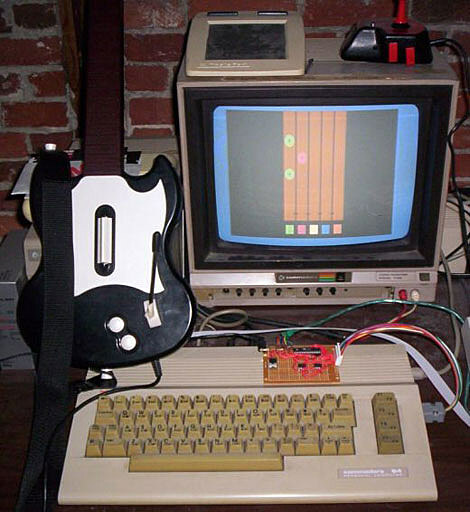 Devices such as the Nintendo Entertainment System, Commodore 64, Atari ST, Nintendo Game Boy and others are repurposed into the service of original, low-res, high-impact electronic music and visuals — sidestepping game culture and instead exploring the technology’s untapped potential and distinctive intrinsic character. The Blip Festival assembles nearly 40 practitioners selected from the chipmusic movement’s expansive global underground, taking care to represent as many as possible of the genre’s surprisingly diverse styles, geographical and technical scenes, communities, and traditions. The festival’s concert program will be supplemented by daytime events to be announced, including workshops, presentations, and screenings. The Blip Festival’s intended result is to provide a cross-section of a movement currently in explosive flux, teeming with artistic exploration, and poised at the cusp of global awareness. Archaic game and home computer hardware is recast into the unlikely role of musical instrument and motion graphics workstation in the BLIP FESTIVAL 2008, a four-day event showcasing nearly 40 musicians and visual artists occupying the international low-res cutting edge.